Companion planting with essential oils? What the heck is that, right? It’s a super easy way to boost up your existing garden, even if you didn’t plant any companion plants in it. First, let’s back up a bit. For those of you that aren’t familiar with companion planting, it’s when you strategically plant your garden so that plants that are side by side have something to benefit the other. For example, one plant might repel insects that commonly like to flock to the other plant. Or one plant might give off certain nutrients through their soil that would benefit the other plant. It’s an awesome way to help your garden thrive in a natural way. Let me give you an example. Basil and tomatoes grow well together. Basil naturally repels white flies, mosquitoes, tomato hornworms and aphids. It gives the tomato plant nutrients the tomatoes need through its roots into the soil. It also improve pollination by attracting bees and it’s commonly thought that the tomatoes themselves improve in flavor when basil is planted nearby. 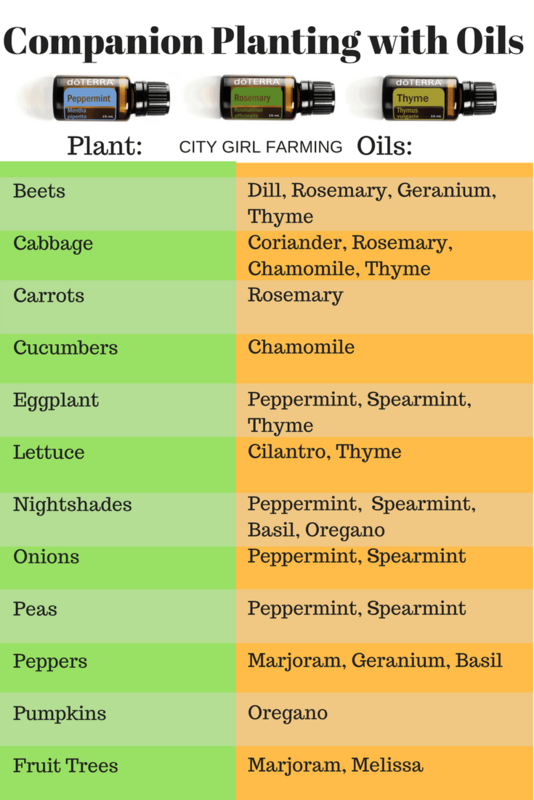 It’s easy to do your companion planting with essential oils. All you need to do is mix a few drops of the oil that works as a companion, into two gallons of warm water. Stir. Fill your watering can half full with this mixture and add cold water to the top. Stir. Water your plants with it twice a week. 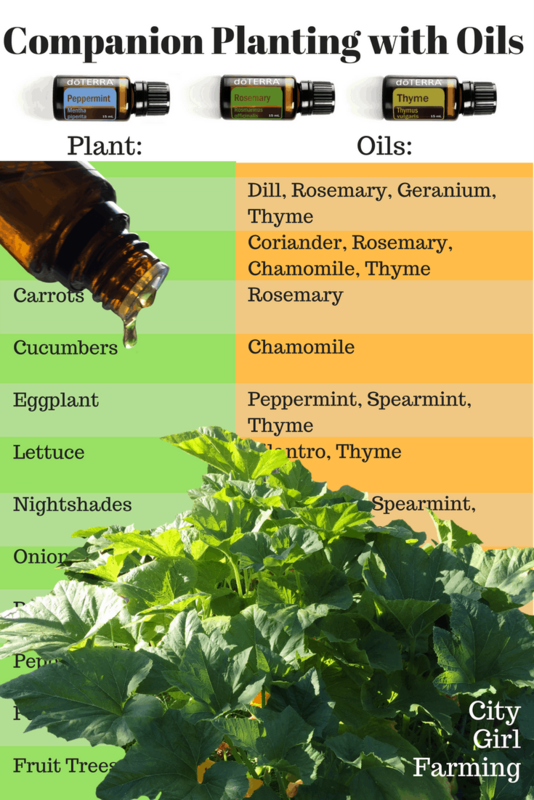 Here’s a list of common companion plants and what essential oil to use. Pick the plant, the oil, and follow the above instructions of mixing it into your watering can water and you’re set to go! If you’d like more helpful tips on non-toxic gardening with essential oils, check out this on pest control with essential oils.